The history of science abounds with momentous theories that disrupted conventional wisdom and yet were eventually proven true. Ajit Varki and Danny Brower’s “Mind over Reality” theory is poised to be one such idea-a concept that runs counter to commonly-held notions about human evolution but that may hold the key to understanding why humans evolved as we did, leaving all other related species far behind. At a chance meeting in 2005, Brower, a geneticist, posed an unusual idea to Varki that he believed could explain the origins of human uniqueness among the world’s species: Why is there no humanlike elephant or humanlike dolphin, despite millions of years of evolutionary opportunity? Why is it that humans alone can understand the minds of others? Haunted by their encounter, Varki tried years later to contact Brower only to discover that he had died unexpectedly. 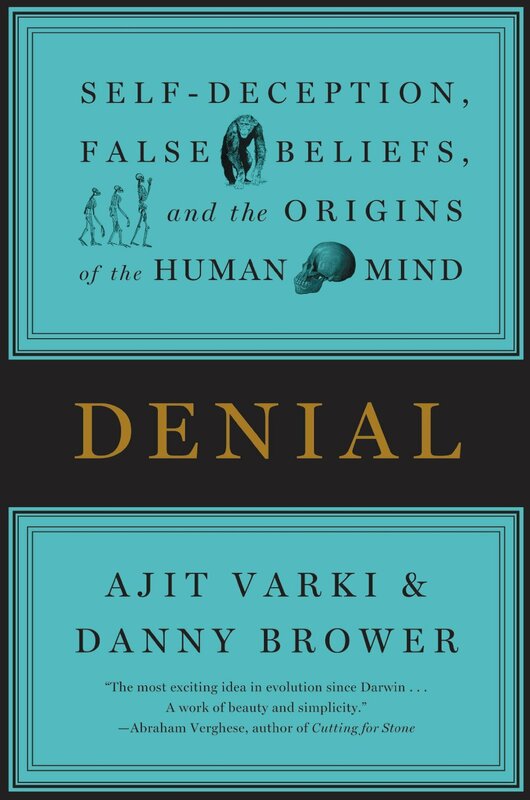 Inspired by an incomplete manuscript Brower left behind, DENIAL presents a radical new theory on the origins of our species. 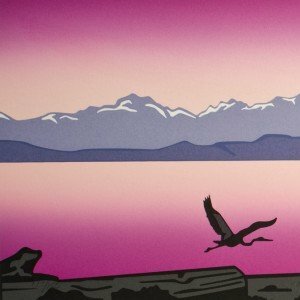 It was not, the authors argue, a biological leap that set humanity apart from other species, but a psychological one: namely, the uniquely human ability to deny reality in the face of inarguable evidence-including the willful ignorance of our own inevitable deaths. Presented in homage to Brower’s original thinking, DENIAL offers a powerful warning about the dangers inherent in our remarkable ability to ignore reality-a gift that will either lead to our downfall, or continue to be our greatest asset. A new answer to the question of why Homo sapiens are the only species to have developed a brain with complex mental abilities. Varki (Cellular and Molecular Medicine/Univ. of California, San Diego; co-editor: Essentials of Glycobiology, 2002) and Brower, former professor of molecular and cellular biology at the University of Arizona, shared their ideas about the origin of Homo sapiens in 2005, but Brower died in 2007 before completing his manuscript on the subject. This book is a version of Brower’s draft that Varki has adapted and expanded. They propose that when humans gained not just self-awareness but an understanding that other individuals are also self-aware and have independent minds, they thus became aware of their own mortality. The overwhelming fear that such knowledge produced would have presented an evolutionary barrier had our species not simultaneously developed a neural mechanism for denying reality. According to Varki and Brower, this convergence of self-awareness and self-delusion was a highly unlikely event that has happened only once in the evolution of life on our planet. While some other species demonstrate features of self-awareness, the authors argue that humans are unique in the mental ability to deny reality, which has led to the development of religiosity, death rituals and theories of an afterlife. Reality denial, they write, has both positive and negative consequences on the personal, societal and global level. For example, on the personal level, Varki, a practicing oncologist, cites its positive value in the experience of patients being treated for cancer; however, on the global level, he discusses the negative impact of reality denial on the issue of human-induced climate change. The final chapter presents a number of arguments likely to be offered by those unconvinced by or opposed to the theory of reality denial. A novel idea about the origins of the human mind but long-winded and repetitious in its development.